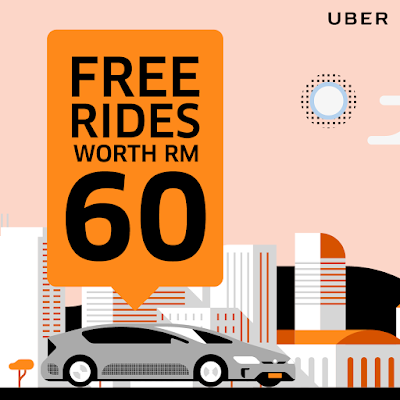 Plan ahead for Valentine's with free rides worth RM60! Fancy a romantic date with your partner? It's never too early to plan for Valentine's - time to pay the florist a visit! Best part yet, we’ve got you covered with free rides! We know how eventful the month of February is for everyone, with places to go and people to see -- that's why we're giving you RM60 worth of free rides! Simply launch your Uber app and apply the Uber promo code shown in app. Apply the Uber promo code, and start riding. Valid for rides in Malaysia from 5 February till 11 February 2018. There will be limited applies to the Uber promo code. For selected users only.